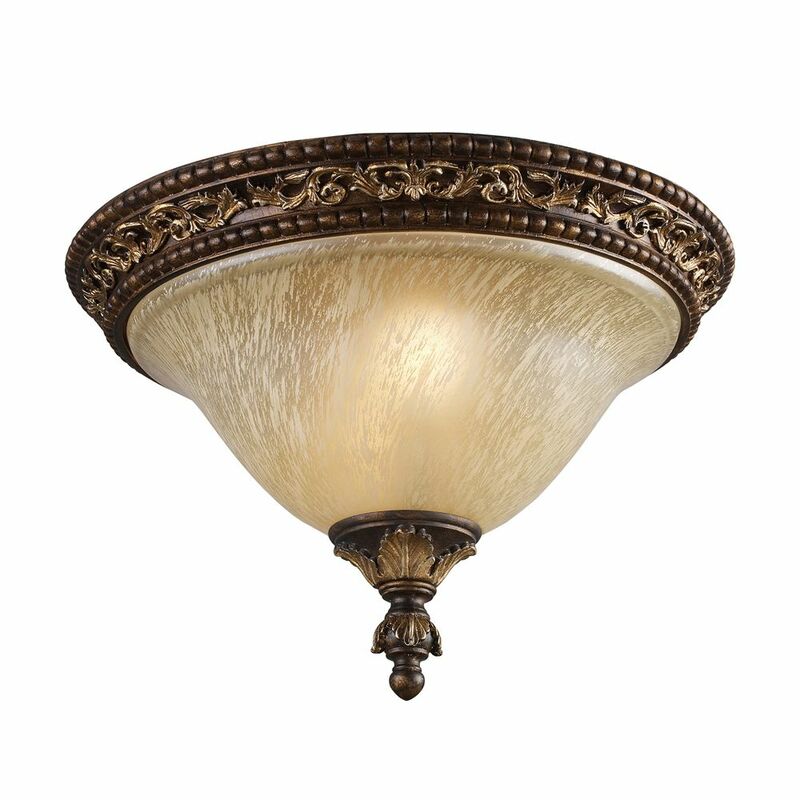 The cornerstone of the burton Collection is quality, and this semi flush mount is no exception. Combining a classic antique bronze finish and posh styling, you will find no better way to highlight the charm of your home. With the superb craftsmanship and affordable price this fixture is sure to tastefully indulge your extravagant side. A fashionable antique brushed nickel finish combines flawlessly with satin etched shades, making this Sea Gull Lighting flush mount sleek and sophisticated, while the energy saving bulbs make it practical. The 60 watt bulbs give off the ideal amount of light for any indoor application. If you are looking for a bold, new age accent for your home look no further. 2 Light Ceiling Mount Burnt Bronze Flush Mount Inspired By The Scrolling Design Of The Trump Family Crest, Regency Creates A Rich And Regal Ambiance. The Solid Cast Iron Scrolls And Burnt Bronze Finish Compliments The Delicate Weathered Gold Leaf Accents And Caramel Amber Glass To Create A Dramatic And Stunning Collection. A Unique Design to Fit Any Decor.